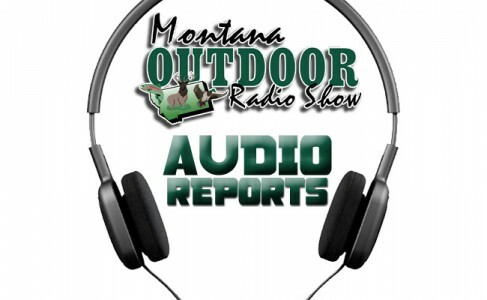 Listen to a brief recap of all the Statewide reports from the Montana Outdoor Radio Show, Saturday 1/26/13. –Angie at Bob Wards says in Butte Clark Canyon is hot near the Dam on ling and trout, and in Helena Canyon Ferry Lake has 7-9 inches of ice on the South end with great reports on walleye’s. –Bill Brown at Bob Wards says in the Hamilton areas fishing for Whitefish in the upper end of the Bitterroot, and LakeCuomo is doing very well. In Missoula folks doing well for Whitefish above and below the bridge on the Bitterroot and Clark Fork between Buckhouse Bridge to McClay Flat Bridge. –Brett French Outdoor editor of the Billings Gazette talks about our unusually warm weather and the two new lifts Bridger Bowl is putting in this Summer. -Chancy at Snappy’s says some of the bigger area lakes are starting to get ice on them. –Dale from Don’s in Lewistown says Spring Creek little bit of midge action for those looking to get the fly rod out, been pretty steady on Nelson, and Crooked Creek’s been busy for those getting out on 4 wheelers. –Dallas at Highline Cleaners in Chester says there are some good reports for perch on Tiber. –John Harris from Lakeside Resort in Trout Creek says the pike fishing has really picked up and doing well at Finley Flats. –Leonard from Robert’s Bait and Tackle says the ice is still holding pretty good. –Pam with the Annual West Yellowstone Hebgen Lake Ice Fishing Tournament says the ice is looking good for the February 1st 2nd and 3rd tournament, and they have 53 teams already adding about 3 more daily. –Robert from Malta Marine says fishing on Nelson and Forshed’s been pretty good this week. –Ron Aashiem says there’s well over 100 bills in the legislature this session from bison, wolves, and trapping. -Shawn Plakke Elk Hunting Guru says white tail have already started dropping their horns. –Shelby from Rocky Mountain Supply in Dillon says the ice fishing tournament is on for the weekend and to be careful on the ice. –Tammy from Northwest Sports in Eureka says most of the area lakes have ice, but they’re not ready to be driven on.